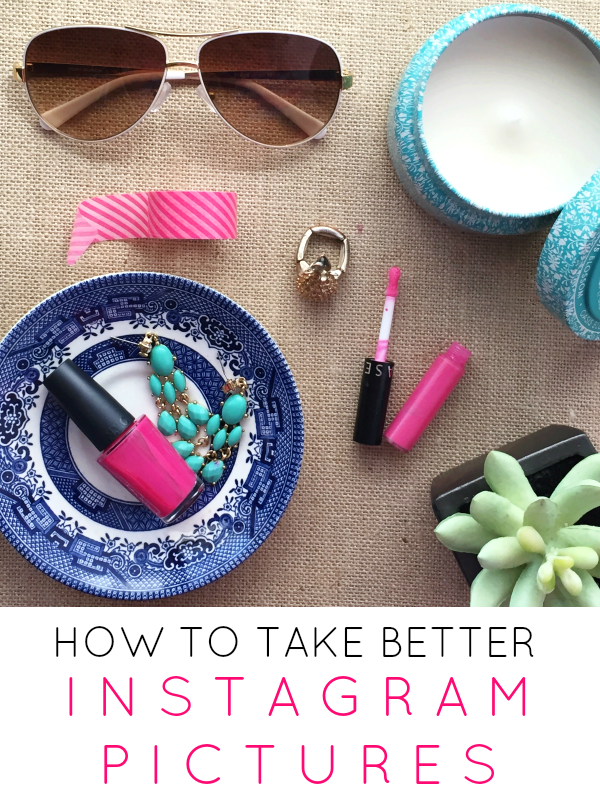 Instagram is one of the quickest growing social media platforms & I admit it's my favorite. I love the visual aspect and being able to share inspiration throughout the week. If you've ever wondered how people create styled photos for their Instagram accounts, it doesn't happen as effortlessly as it may look! I'm sharing a few of my blogger secrets in a video below. This fun how-to video is just a tiny peek of what type of content and learning we touch on in the Social Media With Style Workshop! We're kicking things off on April 3rd and cover everything from taking better Instagram pictures to understanding your social media analytics to defining your branding. For the first time ever I have two separate sections- one for business owners and one for bloggers. Don't miss out on all of the fun as I share everything I've learned in my last 8 years of blogging! Be sure to subscribe to my channel on Youtube, I'm going to be making a lot more videos! I made a fun video about how to style 5 key spring trends earlier this week, be sure to check out that too. I've been tracking my social media stats on a weekly basis, and Instagram definitely has had the most exponential growth since putting some of my own strategies to use! I think what's really key for Instagram is having images that reflect your personal brand/business. I like to try to include my brand colors (pink & turquoise) into my images, and when you're scrolling through the gallery it definitely makes them feel more cohesive (and colorful)! I've also found it an awesome way to connect with like minded ladies & fashion brands. Did you see my shoutout to our Social Media With Style alum today? I love being a cheerleader for every person that comes through the workshop and seeing their blogs and businesses grow! Register here for our upcoming Social Media With Style workshop & let me know if you have any questions! Awesome tips! Your instagram photos are always so lovely. I love the colourfully beautiful dress you wore in the video. I don't and won't have an Instagram account due to their sexist censorship policies but I like the photography advice for bloggers. I do have a YouTube at https://www.youtube.com/user/misterpantybuns, am subscribed to your YouTube channel and enjoyed watching your video titled "How to take Better Instagram Pictures | La Petite Fashionista" on YouTube. I love the Aviator style sunglasses, the turquoise earrings and pink colour of that nailpolish (great fashion colour combination) and the fancy indigo blue patterned china in the photo. Great tips! I need all the help I can get when it comes to social media. My Instagram photos typically look terrible! Thank you for sharing! !